Do you want to send or receive money on your mobile? The solution is here. In New Delhi on Dec 30, 2016, Prime Minister Narendra Modi launched the New digital payment app BHIM (Bharat Interface for Money) developed by the National Payments Corporation of India (NPCI). BHIM app simplifies our digital transactions with fast, secure and more reliable caseless transactions & payments through your mobile phones. BHIM is inter-operable with Unified Payment Interface (UPI) applications and bank accounts. UPI is an interface of online payment system that allows you to send or receive the money between any two bank accounts by using smart phones. It allows the customer to pay their bill amount from your bank account to merchant account. You don’t want any other details like credit / debit card or Internet Banking or any other Wallets. The following banks are supporting BHIM mobile payment system. Click here to know information about other apps like games to play with your crush . Let’s we will guide you how to send or receive the money on the mobile from one bank account to another back account by the use of BHIM mobile app. You can download BHIM mobile payment app for your android phones from Google PlayStore. Currently, it is available only for Android 4.1.1 and above versions. For iOS and Window phone user app will be launched soon. There are so many duplicate apps are available in Google playstore make sure your downloaded app is authentic by checking the developer of NPCL and it is less 2 MB app. 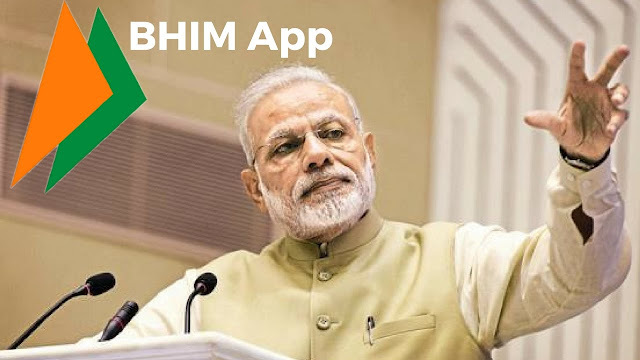 The BHIM App is available in both English & Hindi version. Other languages will be added soon. You don’t want to register for BHIM app transactions. Also there is no time restrictions for online money transfer like send or receive or bill pay with any others bank accounts. You must need the following requirements to make the transaction through BHIM APP. Nowadays all of them are using internet with their smart phones. You should have the bank account and that should be connected with your mobile number. Lets we will discuss about how to get Passcode, Payment Address and UPI PIN one by one. At First download the app from the play store and it will ask to create a passcode. It likes an access code and keep it with yourself. Don’t share with anyone including friends, family members and colleagues. Remember it. By Default, your payment address is your mobile with UPI i.e. mobilenumber@UPI. This is the ID you should share with others to send or request the money from their bank account. Each users will get unique Payment address. You can also generate a custom payment address like with your name i.e yourname@UPI. For example my name Loganathan, I can my address like loganathan@UPI, only if the payment address is available. Otherwise try with some other. 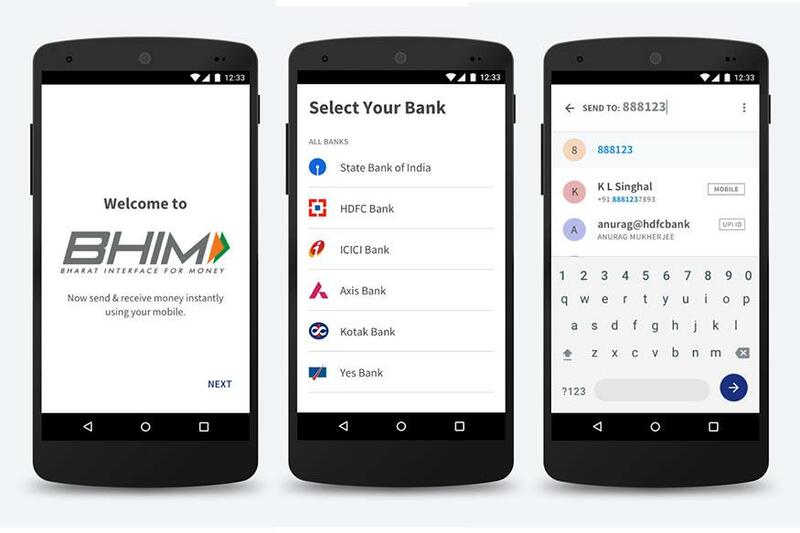 More than 30+ banks are offering this mobile transaction service through BHIM App with the help of UPI. You will be asked to select anyone of the bank account from the list, where you should have an account to link with BHIM. What you must to do if you have more than one bank account? Currently, BHIM allows you to connect only one account. But it will be easy to change the account in a minute and make it as a primary account. For example, If you have selected ICICI bank, the control will move to next page that shows four digits of your bank account along with IFSC code. From this you can make sure your account has been connected with BHIM. This will be your primary linked account. Now your account is connected with BHIM, but if you want to transfer money before it you must create an UPI PIN. Then only you can check your ACCOUNT balance and send or receive the funds. Where you should enter the Debit/ATM card number along with expiry date. No other details are required for this process. You will receive the One-time Password (OTP) to your registered phone number, verify it and generate the UPI PIN number. Don’t use mobile banking PIN (mPIN), it is different don’t confuse with it. 2. You can do the following three actions ‘Send’, ‘Request’, and ‘Scan & Pay’. Scan & Pay -> You can make the Bill pay by scanning QR code. 3. Below it 3 more options are there. ‘Transactions’, ‘Profile’ and ‘Bank Accounts’ where you can change the primary account. Transactions -> It will show you the transaction history that you have done and pending transactions. Bank Accounts -> Show your primary linked account along with your balance. You can transfer maximum Rs.10000 per transaction and 20000 in 24 hours. It will be increase in future. All the information that you provided with BHIM will be more secure. It don’t share any information. However if you loss the mobile is there possible to misuse by someone. BHIM is not payment wallet like PayTM, Freecharge and Mobikwik. So here you can’t load the amount. However you make payment from bank account to others and make a cashless transaction. Using money transfer from the offline mode is actually quite simple as you can use it with USSD. 1. Dial *99# from your mobile. 2. Choose language English or Hindi. 3. Enter any one of the following details Bank Name or First 4 letters of IFSC or 2 digit numeric code or 3 letters shot name. 6. Enter the beneficiary payment address & complete the transaction. From BHIM Mobile you can do the send or request the money and bill payment easily. If the transaction is failed the amount will refunded to the sender. Use BHIM apps make the world cashless. And also read our guide on good tumblr names. Currently There is no option to Pay TNEB bill payment through BHIM App. You can make transaction between two bank accounts.